- FrancesCassandra: UK fashion, beauty and lifestyle blog. 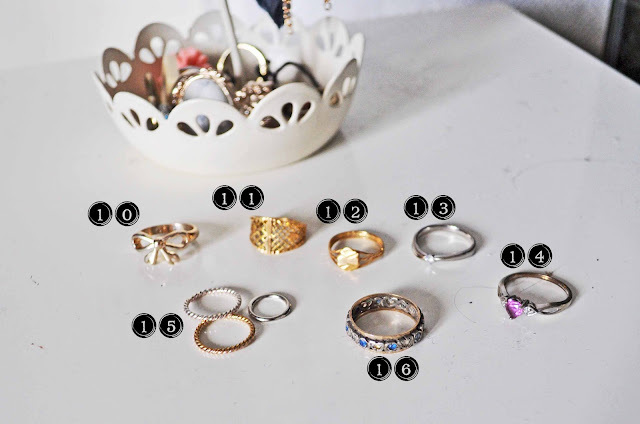 : My Jewellery Collection and Storage: Rings and Earrings. My Jewellery Collection and Storage: Rings and Earrings. So I know I said I was back in my last post, but I have been a naughty blogger and have been off the radar again for five days! The past week has been a battle for me, but life would be boring without nightmare ex-boyfriends, bitchy, rumour-spreading girls and the odd family mishap, right? 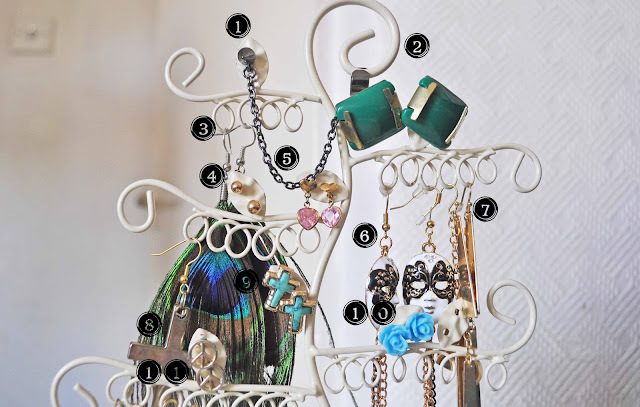 Like my necklace hanger (see my necklace storage post), this little jewellery tree is another eBay bargain. I bought mine for about £6.50, but the seller doesn't appear to have them anymore :( however I have found the same one from another seller going for a not-too-shabby £7.95 here. I believe that if you do a quick eBay search, there are also black and pink versions available. 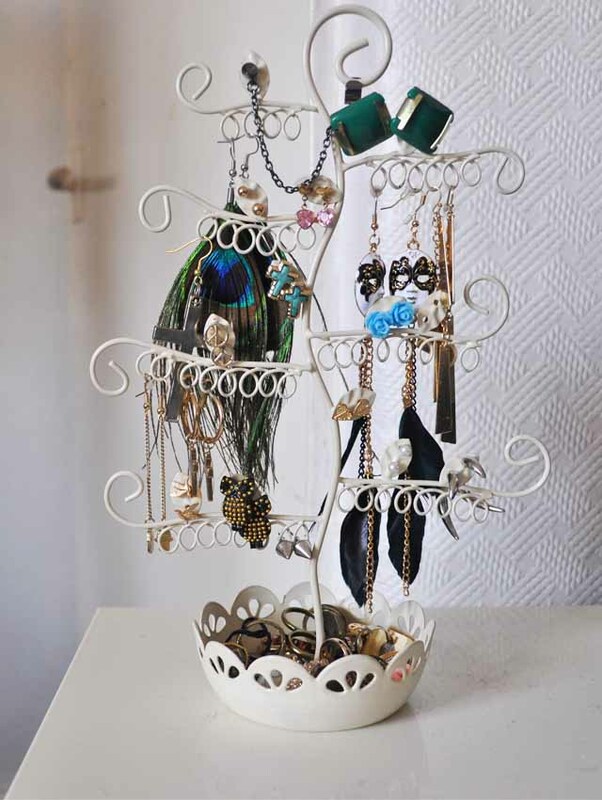 I love this jewellery tree, it matches my necklace holder well and I love the way it looks once it has all my earrings hanging off it- I keep all my earrings on the branches and put my rings in to the handy little bowl at the base. Unfortunately I did run out of space for my stud earrings, but I just throw those in to the bowl too. I hope you like this post! 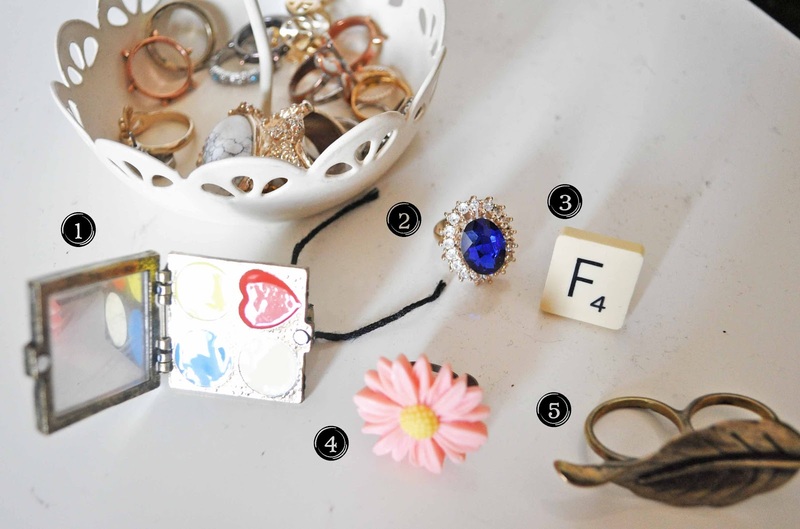 How do you store your jewellery? That's so cute that you can put the rings at the bottom too. I have a huuuuge storage problem so need to nab a jewellery tree like this one! 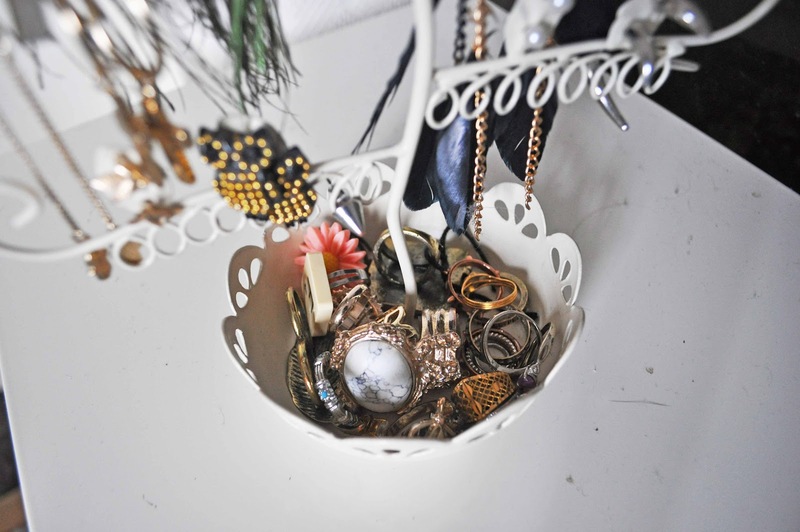 I think your jewellery collection is lovely and I love how you store and organize it! I love the way it has the little pot for rings at the bottom and the holes for studs, such a good idea! i absolutely love this, you have amazing collection! I love the peacock earrings! So striking! This is such a lovely way to store jewllery!! It's so pretty! I'm envious of your jewellery too, so lovely! Mine's kind of stored in some old glassware and truffle boxes at the minute in student accommodation, not so handy. 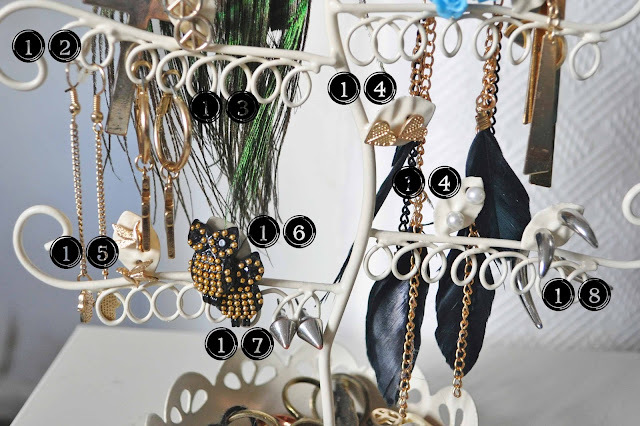 Oh I've been looking for some storage for my jewelry lately, something not too bulky. These are perfect! The is so beautiful rings and earrings. 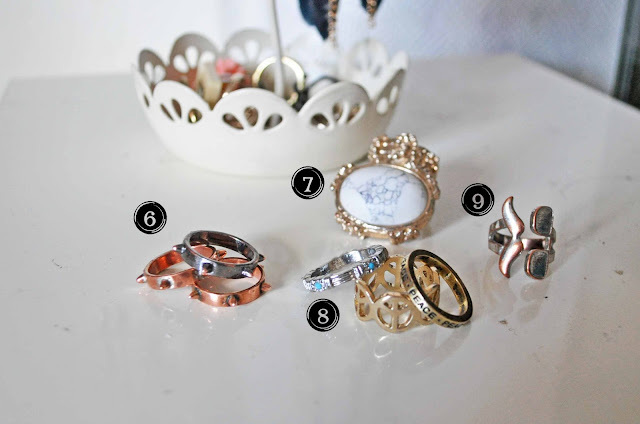 These are really gorgeous collections , thanks for sharing it .